Teach Your Teen Not to Text While Driving | Phoenix Personal Injury Law Blog - Breyer Law Offices, P.C. You remember being a Phoenix teen driver, and that’s probably why you lock your own teen drivers down on the weekend. After all, drinking was the cool thing to do on the weekend when you were younger, and 20, or even 30, years ago, drinking led to deaths of many teenagers on the road, maybe even teenagers you knew or with whom you went to school. But today there’s something far more dangerous that you need to worry about when it comes to your teenagers and driving: texting. According to reports from a study done by the Cohen Children’s Medical Center in New York, more than 3,000 teens nationwide died from accidents caused by texting and driving each year. Around 10 percent fewer teen deaths occur each year from drunk driving incidents, and the number of texting deaths is climbing each year. The same is true in Arizona and in Phoenix, where more teens (and adults, too) are involved in accidents involved cell phone usage and texting with each month that passes. 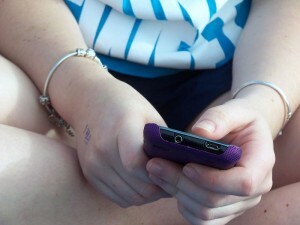 The same report indicated that around 50 percent of teens admitted to researchers that they text and drive. So what can you do to help your teens learn to drive more safely so they don’t become a statistics? Read on for some small tips that make a big impact. Exhibit the behavior you want your teens to follow from the very beginning and work hard to never falter. Want your teens to leave the cell phone be while driving? Turn yours off and make sure they see you do it every time you get in the car. If you accidentally forget and answer it while driving, tell your teen you made a mistake and talk to them about it. Make rules and have consequences for breaking those rules. When your teen receives their driver’s license, set rules about cell phone usage and make sure your teen knows that if they break the rules they could lose their driving privileges. Or better yet, make them earn driving privileges by being safe from moment one. Talk to your teen driver regularly about the risks associated with driving, and make sure they’re getting a proper driving education and proper experience from a trained driving instructor. The expense is worth it and can help your teen be safer from day one of driving. The top injury attorneys at Breyer Law Offices, P.C. can help you and your teen with any legal matters in case of an accident.